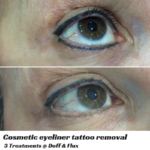 Our staff are qualified professionals who have completed extensive training in the Tattoo Removal and Fading profession and the use of the latest tattoo removal technology. 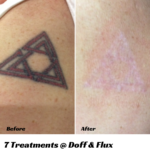 We also have the knowledge and understanding of skin and dermatology issues related to tattoo removal and fading. 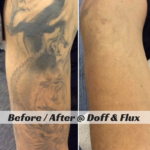 We are focused on safety of our clients as the primary consideration. 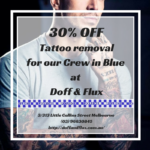 Call us today on 03 9663 0845 to discuss your tattoo removal and fading requirements and we would be happy to extend our knowledge and expertise to provide you the best advice and treatment plan. 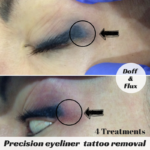 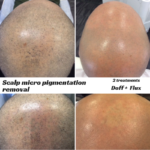 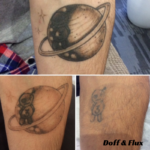 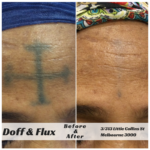 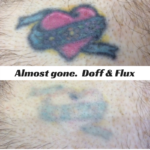 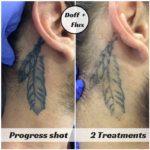 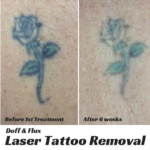 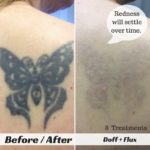 Doff&Flux offer permanent tattoo removal in Melbourne, as well as modification and fading of tattoos. 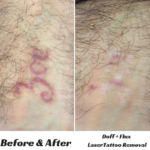 Given the precision of our equipment, partial tattoo removal is also available. 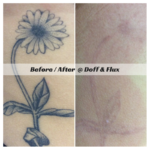 For example, removing a name inside a tattoo banner, without disturbing the surrounding tattoo. 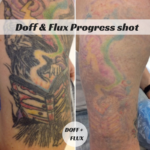 We encourage clients to consider lightening existing tattoos before applying a professional cover-up as existing tattoos are often visible underneath a cover-up.